As we’re in the last few weeks of 2012 we know many of you will already be thinking about marketing and research projects for 2013. We thought we’d round up what we’ve learnt about mums in 2012 and let you know what we think brands should be thinking about when it comes to mums in 2013. With a royal baby due this summer you can guarantee pregnancy and mums will be front and centre in the media. It’s an opportunity for brands to connect with pregnant mums to be and new mums, bearing in mind that the average mum might be interested in the royal babe but is likely to be having a somewhat different experience! Which brings us to point two to consider for 2013. We all know mums have common experiences (in that we all have children – nope we don’t even all give birth, some adopt) but that’s often where the similarities begin and end. You can take two mums who appear similar on the surface but when you scratch the surface and start to ask the right questions you soon realise how different they are – from their parenting philosophies, to how and where they shop to how they interact with technology. We’d like less identification of mums as ‘single’ or ‘ABC1’ and the judgements that go with those labels and more identification of common touch points and differences which uncover insights that can change brands for the better. There was a fair bit of backlash against this year’s Asda Christmas advert, depicting an overwrought mum who does it all. And while we know mums often bear much of the organisational work for the festive season we felt the Asda advert failed because it was a negative depiction. We could relate to some parts of it but most mums we spoke to said it wasn’t how they felt about things overall. We know there was a considerable amount of research used to back up the advert but we wonder if the researchers were really listening to what mums were saying (and identifying trends as we would) or asking questions that provoked a negative response. The ad reinforced the stereotypical roles for both mum and dad of the 1970s rather than 2012, portraying mum as being washed out, running around doing everything, even relegated to the pouffe at the dinner table. And yes today’s mum is still running around today but is a heck of a lot more empowered and having fun while dads take on more hands on role with cooking and the kids. What we know for sure is that dads (and kids and grandparents and aunties and cousins and friends) all influence a mum’s decision-making process and so we shouldn’t forget that when we develop products, services and communications targeted at mums. So if 2013 is the year you really want to connect with mums then what’s the best platform to do it on? 2013 has been the year of technology for mums – the use of smartphones for researching products, reading reviews, connecting with friends and social networking continues to grow. Recently more brands have started to introduce apps to making shopping on the go easier for mums (and if you want an easy win with mums then start by creating things that make their life easier). Smartphones and apps work for mums because they fit into our busy life – we can order our shopping while sitting at our child’s swimming class or keep our child occupied with a phonics app while waiting for food in a restaurant. But there is a but. We’ve seen some statistics touted around this year that make it seem as if all mums on are facebook and own smartphones (or are using them in a way a brand could make use of) and in our experience of thousands of mums this just isn’t the case. Yes in 2013 you should be making use of technology to connect with mums but don’t forget where they were last year (and will continue to be), the school playground, the workplace, the gym, playing in the park or sat in a coffee shop with friends. Here’s to a successful 2013 for all our mums and every brand that wants to help them! If you want to know more about how we identify insights and trends with mums then drop us a line. 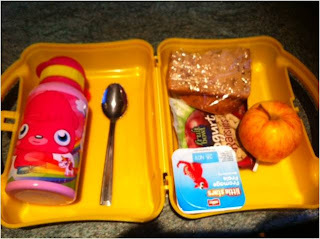 Lunchbox battles - does mum always win? Last week Lynne presented at the Market Research Society Kids & Youth conference on food propositions for the children’s market. We wanted to talk about what kids want in their lunchboxes versus what parents want to see them eating and what influences parents’ decision making. We asked our MumPanel for their views by survey and also using our facebook group for further qualitative discussion. And because we always wanted rounded views we also asked mums at the school gate. The overwhelming message we heard from mums is that they are in control of what goes in their child’s lunchbox, 99% of our parents say they have the ultimate decision. Their child might pester and ask for certain things (and reject things they don’t like) but the parent still sources products. We wanted to know what influenced parents when they were buying. It was no surprise to us that mums have lots of factors to consider when purchasing snacks – from their child’s preferences to including healthy foods, allergies, what school wants and budget. It’s important when you are developing products for snacks that you take all of these points into consideration. A character on a packet may appeal to a child but if mum feels it is an unhealthy choice (and she knows school will agree) then it’s unlikely to make it into her trolley. It’s a good idea to have a clear idea of what makes your snack a good choice and clearly communicate this to busy parents. When it comes to marketing snacks the question companies ask us the most is “do we market to parents or children”? Our survey results showed that parents think information and marketing of snacks should primarily appeal to both parents and children (56%) or parents (42%), with just 2% thinking it should be aimed at children. How then do you begin to develop for a dual audience? Start by looking at what parents give as snacks (so cheese, yogurt, fruit) and use this for inspiration. Don’t forget other external forces such as school healthy eating guidelines. 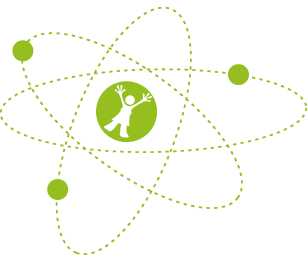 Kids are savvy, they understand healthy messages too (41% of mums said that healthy messages appeal to their children). Appeal to both parent & child by messages that they can easily relate to. Sense check as you go with research and focus groups. You can see Lynne’s full presentation here.